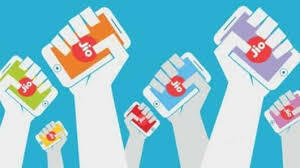 Reliance Jio continues to outshine its rivals for two main reasons - industry-leading 4G internet speeds and attractively priced tariff plans. slew of prepaid plans that cater to all price segments starting from Rs. 19 to Rs. 9,999. While the Rs. 98 plan is truly the most affordable prepaid pack, it doesn't cater to a lot of users looking for more data and validity. Hence, the Rs. 398 plan comes as a better package. So, if you're someone who likes to binge watch movies or TV series or simply YouTube videos, the Rs. 299 plan is a good budget option. If you're a heavy internet user and are looking for a long term validity recharge, nothing comes close to the Rs. 1,699 plan. Under this plan, you get 1.5GB of daily data (total 547.5GB), unlimited calling, and 100 daily SMSes for a total validity of 365 days. Moreover, like other plans, you also get a complimentary subscription to all the Jio apps. This prepaid pack is the most expensive recharge option currently offered by Reliance Jio. Under this plan, you get a total data of 750GB of high-speed data, unlimited calling, free access to Jio apps and 100 daily SMSes for 360 days of validity. Notably, unlike other plans, the data limit on this mega pack doesn't come with a daily limit.